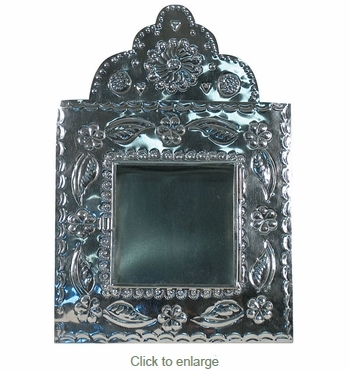 This natural tin shadow box or nicho make a great gift or the perfect south-of-the-border accent for your home. Our natural tin decorative accents compliment any southwest, Mexican or rustic theme. All of our aged tin accessories are authentic creations handmade by artisans in Mexico.